iZotope’s Ozone and Neutron suite is the gold standard for mixing and mastering software. Bedroom producers and seasoned pros alike swear by it – not an easy achievement by any means in the world of digital audio. But some of the bundle’s most amazing new features can be opaque and difficult to understand, especially for newer users. In this post, we’ll take an in-depth look at how to use some of the new features available as part of Ozone 8 and Neutron 2 (O8N2) Advanced. If you’re interested in learning more on the difference between the standard and advanced versions, check out our blog post on the topic. The above table shows all the differences between O8N2 Standard and Advanced. That said, it’s not always clear what all these bells and whistles actually do. If you don’t understand what Tonal Balance Control means, or why you need Mix Tap, never fear. Let’s go into a quick highlight-reel description of O8N2’s features and how they’ll improve your mix. Mix Tap provides basic functions like volume, pan, stereo width, and filtering, but more importantly, it acts as a conduit for inter-plugin communication. On channels that don’t require the full power of a Neutron instance, using Mix Tap instead can save you valuable CPU resources, especially on a laptop or an older studio machine. Busy mixes or untreated rooms (or busy mixes in untreated rooms) can make it difficult for engineers to discern frequency masking issues. Although you should always trust your ears, Masking Meter can help identify and correct previously hidden problems. Ever tried to smooth out an overly bright mix element by EQing, only to end up making the whole channel (or worse, the entire mix) sound flat? Spectral Shaper can help – this frequency-banded compressor is great for balancing out signals with biting high-frequency transients. iZotope has also updated their vintage plugins, to the joy of anyone who wants to emulate vintage gear’s signature sound without paying through the nose. Vintage Compressor, Tape, and EQ modules adorn the O8N2 Advanced bundle, with the incredible Vintage Limiter available in both the Advanced and Standard versions of Ozone 8. 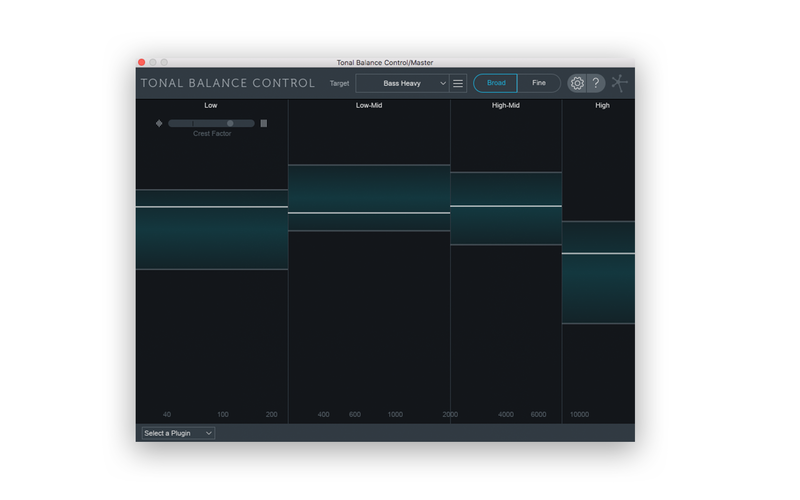 Perhaps the crown jewel of O8N2’s new Advanced offering, Tonal Balance Control is useful for less experienced mixers all the way up to pros who are concerned about how their mixes will translate onto different platforms. This handy metering plugin will give you a sense of your mix’s balance by comparing it in real-time to an aggregate of thousands of professional mixes, ensuring that your mix will translate nicely, even in sub-optimal listening environments. How do I use it in my mix? First, let’s talk about setting up our session. I recommend grouping your tracks into mix buses, opening an instance of Neutron on each mix bus. Typically, it’s not necessary to use full instances of Neutron on individual channels, although your preferences may vary. 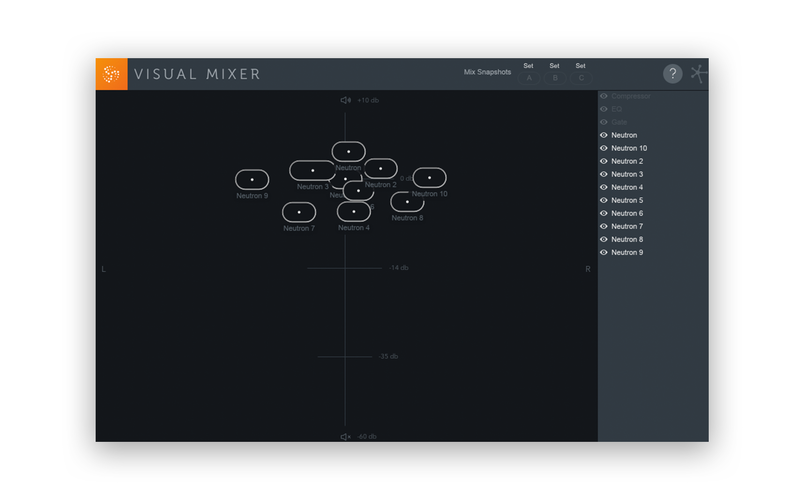 Still, you want to make sure that every channel in your mix is running through Neutron somewhere – that way, you’ll be able to control it using the Visual Mixer. I can hear the comments already: “But ten instances of Neutron wrecks my CPU before I even open my project!” I hear you loud and clear – my Core i7 doesn’t handle compute loads like it used to either. If you, like me, are made conscious of CPU resources on a too-regular basis, consider using Mix Tap instead of a full instance of Neutron. Mix Tap is essentially a conduit through which the user can harness N2’s inter-plugin communication features without running all of Neutron’s powerful processing modules. Just put it on any channel or mix bus where you aren’t already using Neutron, and you’ll be able to control the channel’s pan, stereo width, and gain from other plugins just like you would with Neutron. Now let’s set up the master channel. Assuming you’re mixing and mastering in the same session, you’ll want to use the Visual Mixer first in the master chain to finish off your mix. Next will come Ozone to master and limit the sound, then finally Tonal Balance Control for a quality check. Order matters here – you don’t want to increase gain after having limited your mix, or else you’ll run the risk of digital clipping. 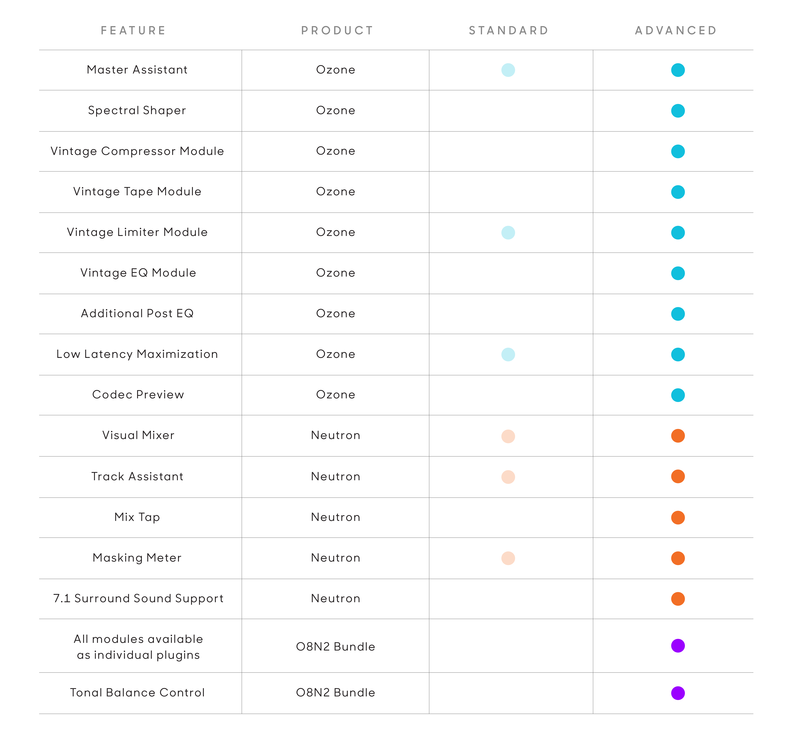 Now that we’ve got our master channel set up, let’s dive into some of the more esoteric features offered in the O8N2 Advanced bundle. If you’re looking for in-depth coverage of the modules available in the Standard offering, check out our excellent feature guides for Ozone and Neutron Standard. If you know how to use a compressor, you’ve already grasped the concepts necessary to understand Ozone’s Spectral Shaper. At heart, it’s a frequency-banded compressor that just happens to sound incredible. You can even use the Listen function to ask Spectral Shaper to make a guess about where the threshold should be set. I find myself relying on Spectral Shaper when dealing with biting high-frequency material like sibilance or hi hats. Some compression on unruly transients in the 2 kHz+ range can turn sibilant consonants or bright, sizzling cymbals into polished, airy shine. In certain cases, you might give it a shot on small portions of the kick/sub bass range to help glue together discrete elements that don’t want to play nice. This is a great feature for those of us who don’t have the luxury of working in well-treated rooms. It can be very difficult to identify issues with frequency masking when your room itself is causing reflections and standing waves to get in the way of your mix. The Masking Meter gives useful visual feedback in these circumstances so that you can understand where your problem areas lie, even if you’re having trouble hearing them. 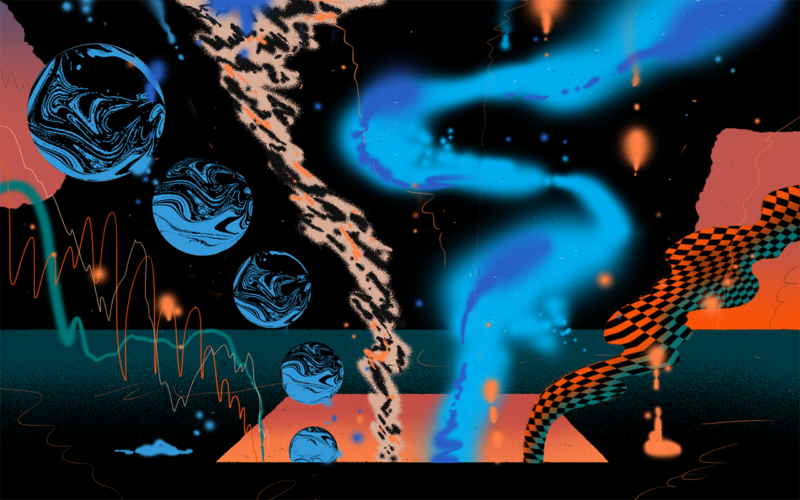 Using the Masking Meter is an intuitive experience. Just go to Neutron’s EQ module and click the Masking button to reveal a drop-down menu. This menu will allow you to select from among any instances of iZotope plugins that you have in your mix. In the above example, I’m looking at my sub bass channel, and I’ve selected the kick in the Masking Meter to see how much the two are clashing. The white shaded frequency bands and red-hued histograms above them represent the extent to which frequency masking is occurring. This suggests that I may need to address some issues with my kick and sub channels – whether that’s through EQ right in the EQ module’s interface, or elsewhere in the mix, is up to me. For this example, since a relatively wide frequency range appeared to be clashing, I applied some sidechain compression to my bass instead of trying to EQ out the entire problem. 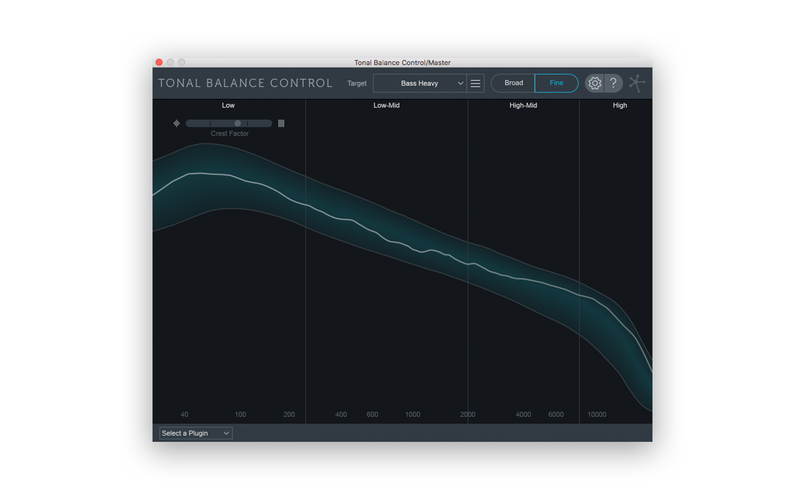 Tonal Balance Control is a totally new iZotope feature with a perfectly descriptive if not particularly straightforward name. Despite its relatively strange nomenclature, Tonal Balance Control couldn’t be easier to use. 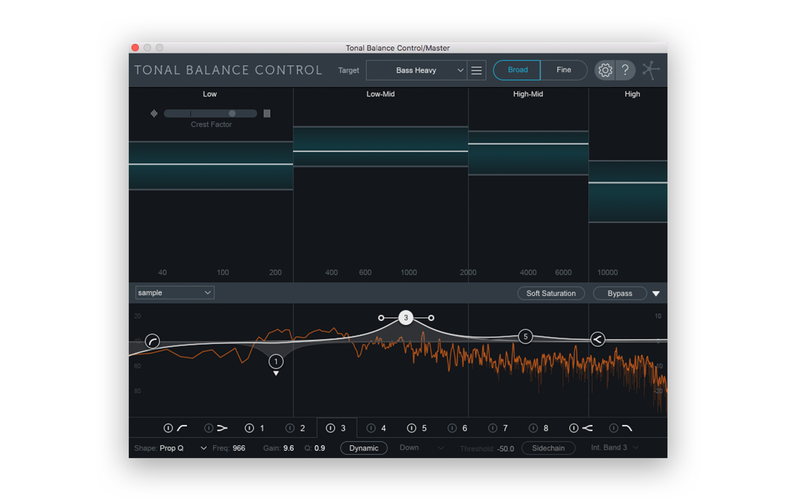 Simply pop it on your master channel after every other effect in your chain – Tonal Balance Control should be the last plugin to touch your audio. Unlike most of the other modules and plugins in the O8N2 Advanced Bundle, Tonal Balance Control doesn’t change the sound of your track. Instead, it stores an aggregate of spectra from thousands of professionally-mixed reference tracks. You can adjust the aggregate by clicking the drop-down next to “Target” to adjust your mix target preference, or if you’d prefer, you can also add your own set of reference tracks to be aggregated by clicking the menu next to it. While Tonal Balance Control doesn’t immediately offer control over every parameter of the iZotope plugins it talks to across your mix, it does let you make EQ tweaks without having to exit the interface. Just click the “Select a Plugin” menu to access any Neutron or Ozone equalizer in your mix. Tonal Balance Control is extremely useful for newer engineers who might not necessarily have a sense of what a well-balanced mix sounds like. It can also work as a sanity check for more experienced engineers who want to quickly compare their work against many references, or to identify easily-hidden issues (for example, you can avoid over-compressing your bass by checking that the Crest Factor meter remains in between the lines). 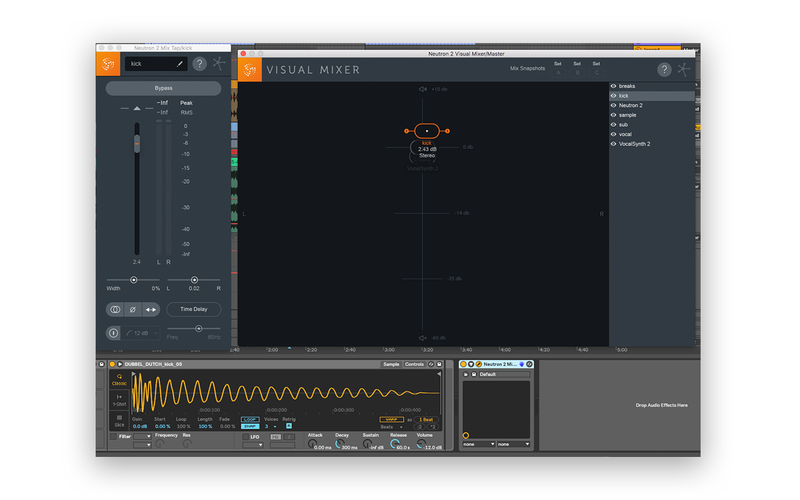 You can also try the Fine view setting for a different way of visualizing your mix against the aggregate. This is a lot of information, but even newer engineers shouldn’t feel intimidated by Ozone or Neutron. It has never been easier to harness the legendary power of iZotope’s plugins for your own creations. If you’re very sure of yourself and confident that you don’t need extra bells and whistles, you might be better off sticking with O8N2 Standard. More experienced engineers probably have well-established habits and workflows that allow them to address issues like spectral shaping or frequency masking using alternative tools. On the other hand, newer engineers and producers who are interested in delivering the best mixes they possibly can may want to give the Advanced versions a try. Features like inter-plugin communication are truly revolutionary, not only in their quality but in their user experience, so it’s worth sitting down and investing a few hours to learn them in-depth. Your listeners will thank you for it. Remember, visual feedback is a useful tool, but you need to trust your ears. The engineers at iZotope are incredibly smart, but they aren’t magical, so if something sounds wrong it is wrong, regardless of whether Tonal Balance Control tells you it’s okay. 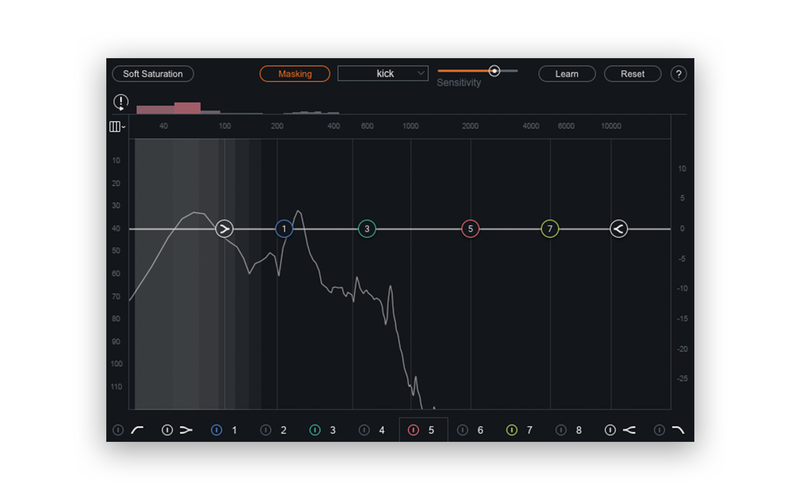 O8N2 Advanced offers an immensely powerful new set of tools, but there’s no replacement for your own creative mixing and mastering decisions.